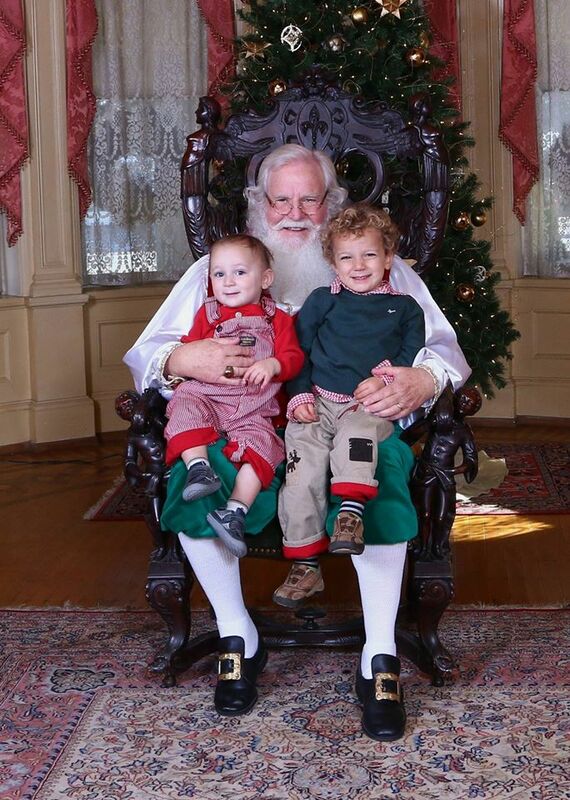 Skip the long lines at the mall and come to Rhodes Hall for a fun, easy and enjoyable Santa experience. On weekends from December 2 through December 20, 2015, “the castle on Peachtree Street” will be transformed into a winter wonderland featuring holiday entertainment, delicious refreshments from area caterers, music, art activities and, best of all, personal appointments with Santa at Rhodes Hall. Don’t miss out on this opportunity to introduce the children in your life (or yourself) to the magic of Santa at Rhodes Hall! Directions to Rhodes Hall. Saturday, December 12 – 10 a.m. to 3 p.m.
Friday, December 18 – 5 p.m. to 7 p.m.
Saturday, December 19 – 10 a.m. to 3 p.m.
Sunday, December 20 – 10 a.m. to 3 p.m.
Reserve your family’s appointment with Santa for only $40. Groups with more than four children should register for an additional time slot. You may also bring your own camera or video recorder for an additional $20 (payable at the event).